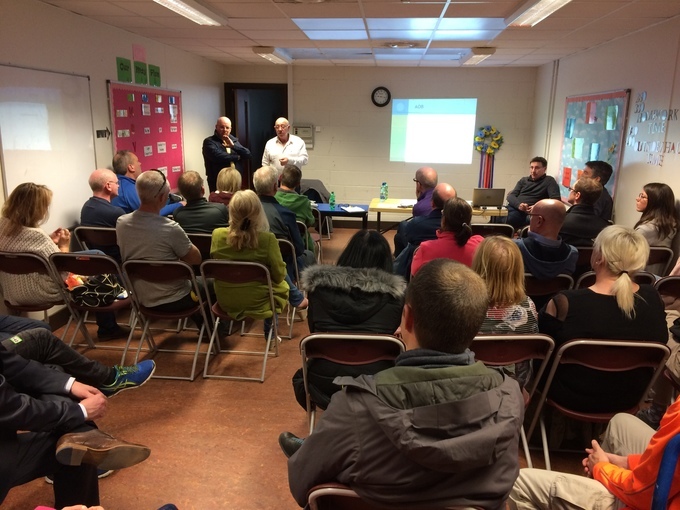 Thank you to those that attended our AGM last week. Mark’s presentation described the committee’s work of the previous year and included the usual request for more residents to join the committee. The easiest way to report issues to Fingal County Council is through the FixYourStreet.ie website. The bushes at the corner of Riverwood Way and Riverwood View are a well known spot for litter and drinking. As far back as October 2012 we requested a light for that location and FCC said that they did not have enough money for one. We also suggested installing a bin and cutting the trees back. None of these ideas were acted on. Last week one of the committee saw LED street lights being installed on Glenville Court. The workers suggested contacting FCC Public Lighting to ask if one of the old lights could be installed at Riverwood Way. We submitted a report on FixYourStreet.ie to ask for exactly that. It has yet to even be acknowledged by FCC.